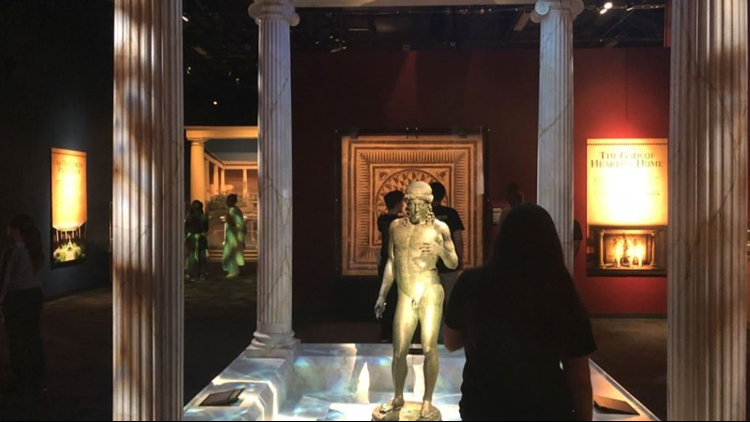 The remarkable Pompeii Exhibition is coming to an end in Phoenix at the Arizona Center on May 28, 2018. It's probably one of the most emotional exhibits you will experience at the Arizona Science Center. The end of the remarkable Pompeii Exhibit is here. Monday, May 28 is the last chance Phoenicians will be able to enjoy the experience. 12 News had the chance to visit the exhibition when it first opened November 2017. With over 200 artifacts and casts of what was buried under ashes for more than 2,000 years, it will take you back in time of how Pompeii once stood. The Arizona Science Center will extend their hours for Pompeii. Their doors will open at 8:30 a.m. on the weekends and will close late the days leading up to the last day, which is 24, 25, 26, 27 and 28th at 9:00 p.m.
To get more information about times and costs for the exhibition, please click here.